Each class is a total workout, incorporating both upper and lower body strength conditioning and flexibility, increasing your aerobic and anaerobic capacity and burning off unwanted calories. There’s a reason why professional fighters are in great shape – you can get there, too! We all experience stress in our lives, whether from pressure at school, work or home life. You can’t eliminate stress but if you don’t learn to manage it, you will suffer from the effects. Training at Canada’s Best Karate gives you an outlet for your daily stress and it’s guaranteed to leave you feeling relaxed and more equipped to take on life’s challenges. The combination of physical training and positive environment in our martial art schools will be just the boost you need to renew your enthusiasm. All of us have experienced the fear, anxiety or anger that result from confrontation with aggressive people, whether physically or verbally. Canada’s Best Karate training can help you to replace those feelings with self-assurance and confidence. You can take pride in knowing you are able to stand up for yourself in any encounter. Our method of scenario-based training starts with simple, low-intensity attacks and responses, while steadily progressing towards higher levels of energy and skill. You learn to develop immediate muscle-memory reactions that are highly effective at neutralizing an attacker. But of even greater importance will be your ability to recognize that an attack is imminent and take steps to avoid becoming involved. The martial arts is an exciting activity. The challenge of learning a skill, the social aspect of training with friends and escaping from our day-to-day routine are all part of why the martial arts becomes a life-long endeavour for millions of people. At Canada’s Best Karate, our instructors are also students and they know why people keep coming back to class – because it’s fun! See if our classes are right for you with our CBK 10-Day All-Access Pass! 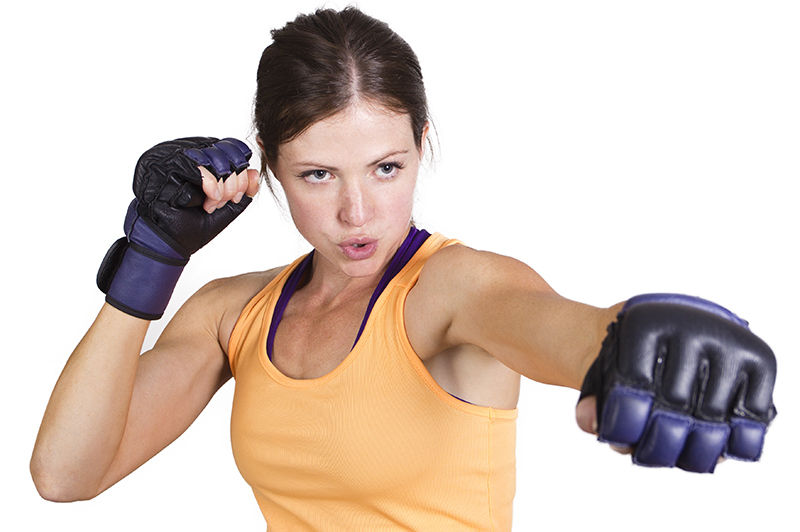 Thinking about trying fitness kickboxing? If you’re like me, you want to find a balance in your life between work, family and social activities. In our ever increasing, fast paced, success focused life style it is becoming harder and harder to do all of the things we want to. Stress is rapidly becoming the #1 health risk for North Americans today. Whether it’s work related or personal, stress can become present in our lives in little ways like over-eating, loss of sleep and short tempers (ever hear of road rage?) to very serious medical conditions such as high blood pressure, hypertension, stroke and heart attack. Maybe you have heard all this before. Certainly people are becoming more aware of the importance of leading a healthy life-style, both physically and emotionally. Yet many of us can’t find the time to get started on a new path. Or we feel that we will have more time tomorrow to begin achieving those goals. But soon tomorrow leads to next week, next month and suddenly years have gone by and you find yourself looking in the mirror wondering when it’s going to change. You may be thinking, “What has this got to do with karate?” My name is Scott Bullard and I am a sensei (chief instructor). I teach a highly successful program designed to help adults to lead healthy lives physically and emotionally and reduce negative stress. It is called the Adult Karate & Kickboxing Program taught at Canada’s Best™ Karate. Before I explain the details about the Adult Karate & Kickboxing Program, let’s first identify where you may need help in becoming more healthy. If you could change anything about your life, what would that be? Take a moment and set some real powerful goals that would change your life for the better.Karate can give you the confidence to excel in life – Canada’s Best Karate. People just like you are learning these skills and attitudes at Canada’s Best™ Karate because our programs go beyond teaching students blocks, kicks, and strikes. Our programs teach life skills – the mental and emotional tools that enable you to achieve your highest goal: becoming the best person you can be! You will find our classes are fun, safe and taught in a friendly environment. Whether your goal is improved fitness, weight loss, self-defense or self-discipline, you will find our classes are full of people like you who want to achieve their maximum potential and live a life charged with energy! Canada’s Best™ Adult Karate & Kickboxing Program provides the structured discipline of traditional karate instruction with modern training methods to smoothly meld the past with the present. You will enjoy a wide variety of class styles, which means never having to worry about being bored (like many fitness or weight training programs you have probably tried in the past and quit). From intense combinations to dynamic pad and shield drills to realistic self-defense scenarios that simulate an attack, you will get to train in an ever-changing environment without having to change schools! But don’t take my word for it. Here’s what some of our students have to say about Canada’s Best™ Karate…. Since I joined Canada’s Best Karate one month ago, I have lost 7 pounds and have found I have more energy. My karate training has given me more energy and I feel better physically and mentally. I was attending aerobics classes for 6 months with no real improvement, but in less than 2 months at Canada’s Best Karate I have lost 10 pounds, I feel stronger and I have more drive. I have noticed a significant and obvious increase in my physical strength, endurance and overall well-being. I have an improved positive mental attitude in all areas of my personal life and commitments and I look forward to setting new goals and challenges. TThe philosophy at Canada’s Best™ Karate follows an approach that centers on karate as the art of self-defense and not aggressive attack Hollywood-style. All Canada’s Best™ Karate instructors take great care to emphasize that your best self-defense weapon is your mind. Knowing beforehand the subtle signals to different threats and their counter options can give you the upper-hand in 90% of all confrontations. 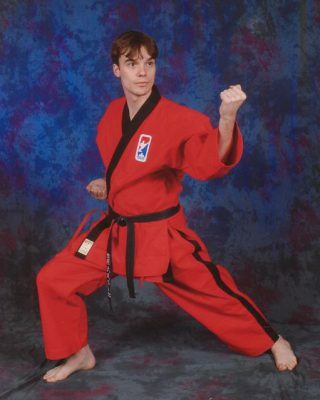 I don’t want you to be misled – we do teach our students the physical side of karate training. We have a fully integrated curriculum from beginner up to black belt and beyond that will allow you to become stronger and more fit as you learn the effective self-defense skills of karate. At Canada’s Best™ Karate we have developed proven teaching methods that will help you learn the art of self defense quickly and easily. It is this training that will help you begin to feel confident in your abilities without having to fight with others to prove it. I was driving home one evening and, not concentrating on the road, I didn’t notice the car in front of me had stopped until it was too late. I swerved but still hit his right rear fender. As I got out of my car I saw the driver of the car I hit walking towards me. Picture the biggest, meanest looking biker gang member you have ever seen and you know the guy I saw! He was very irate. He started yelling at me and calling me every name in the book. Right away I apologized and told him that it was my fault. I looked at the damage to his car, which amounted to only a couple of scratches, and said I would be glad to pay for any repairs to his car. He grumbled some more, walked back to his car and drive off. I thought that was the end of it, so I drove off as well. I had just turned into the street where I live when in my rear-view mirror I saw the car I had hit following me. Just to be certain, I made a few turns at different streets and sure enough he kept right on me. I thought, if he wants to start something then it’s going to be on my terms, so I pulled over and got out of my car. He pulled over as well and got out. As he approached me, I adopted a neutral defensive posture. While it didn’t look like it, I was prepared to counter any attack he launched at me. When he got close to me I was totally shocked by his words – he started apologizing to me! He checked over my car for damage and asked if I gotten hurt from the accident. Then he got back in his car and drove away, leaving me pleasantly surprised at the effectiveness of my ‘mental’ karate training. Ask someone where you should go for self-defense training and 90% of people will say a karate school. Ask those same people where you should go to get in shape and you’ll more likely be directed to the local gym or personal trainer. Yet karate is an excellent alternative for shedding those unwanted pounds and feeling more energetic. Martial arts training is great for losing weight and gaining strength – Canada’s Best KarateCanada’s Best™ Karate training comes with many advantages you won’t find in a gym. The combination of quick movements with pad or target striking will keep your heart rate up as it strengthens and tones muscles. Because it involves techniques utilizing hands and feet, many people find that their balance, flexibility and agility increase along with their fitness level. And of course, you’re learning a skill, not just jumping and shaking. Many adults find that because it’s a mental challenge that they don’t get bored and drop out as easily as at a gym. And finally, we will monitor your progress and class attendance. It’s a big help achieving your fitness goals knowing that someone is taking a personal interest in your success! Many doctors are prescribing physical activity along with other measures to help combat the adverse health effects of stress. And many people are finding that Canada’s Best™ Karate / Kickboxing does the job better than any other place they have previously tried. Besides the fitness benefits, karate and kickboxing training does lots to relieve the mental pressure faced by adults today. There’s nothing like punching a hand target or kicking a heavy bag to get out the day’s tensions! In fact, after one of our classes not only have you “blown off” some stress, you may find that you feel more relaxed and refreshed, ready to meet head-on those things that only an hour ago had seemed insurmountable. Enrolling in a martial arts school may feel like a big step. Most gyms or clubs will try to get you to make a long-term commitment right from the beginning, even though you may not be sure if this type of workout is what you are looking for. I believe so much in the positive benefits of the Canada’s Best Karate programs that I want to make your choice as easy as possible. Try the Canada’s Best Karate 10-Day All-Access Pass – click here! You can try out our classes by registering for our 10-Day All-Access Pass. For only $19 + HST you can attend unlimited classes for 10 days, plus for a limited time we will include a FREE CBK Karate Uniform – a total discount of 80% off!